Pelicoin is the most secure cryptocurrency ATM network in the Gulf South. 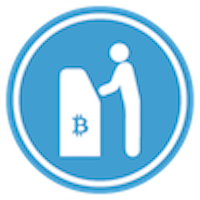 Anyone can quickly and easily purchase Bitcoin (BTC), Litecoin (LTC), and Ethereum (ETH) on our Pelicoin Bitcoin ATMs. To access this particular ATM, go to Riché's Y-Not Stop convenience store, located on Ambassador Caffery Parkway in Broussard. Whether you're already an avid user or you're a newcomer to cryptocurrency, there has never been a better time to participate in this financial revolution. Bitcoin and other popular cryptocurrencies are becoming more practical by the minute as a diverse range of online retailers and establishments adopt the technology. Some people even invest in cryptocurrency to make a profit when the value of the currency rises, as we've seen with Bitcoin. No matter what your plans are for your Bitcoin, Litecoin, or Ethereum, the easiest and safest place to start is at your nearest Pelicoin Bitcoin ATM. Pelicoin puts Bitcoin and other cryptocurrencies into your digital wallet with the press of a few buttons. Our machines bring the simplicity of a standard ATM to the fast-paced world of cryptocurrency. We also ensure that all our ATMs are housed in friendly, convenient establishments that are open late or 24 hours a day. Turn cash into cryptocurrency today at our Broussard Bitcoin ATM.